The Type 3 Shadow-Grey Mouse struggled frantically, its sharp claws slashing without caring at the silk that constricted it. The Type 3 Mutant Flower-Poison Spider continued to spit its white spit and silk at the Type 3 Shadow-Grey Mouse, restricting its movements every few seconds. The Type 3 Shadow-Grey Mouse struggled against its bonds for a whole 5 minutes before slumping weakly due to the toxin taking effect. As the 2 Type 3 Mutant Beasts were engaged in battle, Yue Zhong had noiselessly retrieved his Falcon Sniper and aimed it at the Type 3 Mutant Spider. Waiting until the spider least expected, he broke the silence by firing a single shot. Following the loud sound of a gunshot, a single armor-piercing round blasted through the eye of the Type 3 Mutant Flower-Poison Spider, causing a huge bloody hole, as green blood oozed out on the ground, corroding the earth. When the Type 3 Mutant Spider was assaulted by Yue Zhong, it hung on to life with its Endurance, and quickly scrambling further into the forest. It was a hunting type that relied on traps, and could not afford to face off in drawn out combat. The Type 3 Mutant Flower-Poison Spider had a speed that exceeded a Type 2 Lightning, and was faster than Yue Zhong if he activated his Shadow Steps, and in just a few breaths, it had disappeared from view. It would be incredibly tough for Yue Zhong to hunt it down. There were various kinds of Type 3 Mutant Beasts, some were cautious, others aggressive, and some were crafty. This Type 3 Mutant Flower-Poison Spider belonged to the cautious type, and the moment it got injured, it would retreat without a trace. “Fast! !” Yue Zhong watched the Type 3 Mutant Flower-Poison Spider disappear from view and frowned. He thought for a second, before charging towards the jade-like tree in the centre of the purple flowers. Just as Yue Zhong reached a distance of 100m away from the purple fruit, a number of spider silks that were nearly invisible to the naked eye flew up from the ground, wrapping around Yue Zhong. Yue Zhong struggled with all his might of 8 times the Strength of a normal person, but the tenacity of the web seemed to be even stronger than steel, and Yue Zhong could not break apart from the web. Line after line of silk came up from the ground, as layers after layers started to lock Yue Zhong down. Seeing that its prey had taken the bait, the Type 3 Mutant Spider that had disappeared came crawling back to about 200m away from Yue Zhong, and opened its mouth to fire more webs at him. “It fell for it!” Yue Zhong’s eyes flashed with a cold light. He immediately fired 5 sharp bone blades from his body and twisted himself with all his strength, shredding the silk strands apart. He then stuck out his hand and conjured a powerful blast of Devil Flames at the white spit coming his way. Under that intense heat, the white web was instantly burnt, sizzling into wisps of smoke before disappearing. Yue Zhong then pulled out his Falcon Sniper that had just reloaded and leapt to his right, aiming at the Type 3 Mutant Spider and firing once more. Following that same loud shot, the Type 3 Mutant Spider suffered yet another shot to its eyes, blinding another 3 of them. The bullet pierced through its body, causing a huge hole, as green blood continued to ooze out from the wound. With a flip of his hand, Yue Zhong kept the Falcon Sniper, and switched to the Stinger, firing 6 follow up shots while the Type 3 Mutant Spider was reeling in pain. As its eyes were blinded, the Type 3 Mutant Spider had no way of seeing anything, but it still retreated. Out of the 6 shots fired, only 2 landed, resulting in another 2 huge holes, and the Type 3 Mutant Spider bled even more profusely. Yue Zhong again targeted at the Type 3 Mutant Spider and pointed with his right hand, as a Devil Flame fireball shot towards the beast, blasting another hole the size of a fist in its body. By this time, after suffering consecutive injuries, coupled with the huge blood loss, the lifeforce of the Type 3 Mutant Spider began to ebb away, and its speed of retreating began to slow as well. Yue Zhong did not dare underestimate the Type 3 Mutant Spider and activated his Devil Flame again. In an instant 20 balls of flame appeared out of the ether, blasting towards the body of the Type 3 Mutant Spider. The resulting explosions blasted the beast into pieces. A huge orb of experience floated into Yue Zhong’s body, and a Green Treasure Box and a 100 Survivor Coins dropped on the ground. After finishing the Type 3 Mutant Spider off, Yue Zhong heaved a sigh of relief. Its defence was relatively low, and its innate ability was fortunately countered by his skills. If it was against the Type 3 Ferocious Ape, which had seemingly no weak points, he would be in terrible danger then. With the Flower-Poison Spider Ring, Yue Zhong had an additional useful skill, and he could even become like Spiderman. 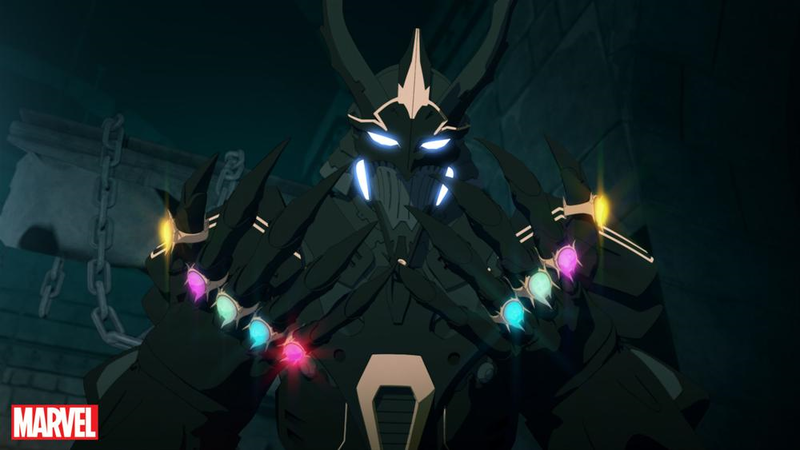 As of now, he had a total of 9 rings on his hands, and he was just lacking one to be fully blinged up. Yue Zhong did not dally beside the corpse of the Type 3 Mutant Spider, instead coming to the Type 3 Shadow-Grey Mouse that had been trapped by the spider silk. With his eyes narrowing, he raised his right hand, expending a total of 50 Spirit and 20 Stamina to conjure up a 2m-long Devil Flame Spear. By now, his Devil Flame skill had been enhanced till the 4th Level, and each Devil Flame Spear that he conjured could easily pierce an armored vehicle, its might equivalent to a medium-calibre rocket. He thrusted downwards with force, and the Devil Flame Spear went through the white silk like hot knife through butter, before continuing in through the body of the Type 3 Shadow-Grey Mouse, splitting it apart all the way till its head. Another huge orb of experience went into his body, and a Green treasure box dropped out as well. However, being able to kill a Type 3 Mutant Beast this easily was still a score in his eyes, after all, every part of a Type 3 Mutant Beast was precious. Although the Type 3 Shadow-Grey Mouse had a weak defence, its hide was still able to withstand a 12.7mm bullet. Furthermore, its blood essence, brain, blood, meat, bones, and even the tendons were all valuable materials. Yue Zhong opened up the Green treasure box, and after a radiant green light shone, a motorbike appeared out of thin air, its entire frame metallic-black in colour, with 6 cannons mounted in front, radiating power and sleekness. “What an incredible mode of transport! !” Yue Zhong eyed this Swift Shadow Motorbike with an excited look in his eyes. The fact that this motorbike could travel 300 km, which was considered an incredible distance in this apocalypse, coupled with its insane speed, Yue Zhong could easily explore places as and when he wished. The Type 3 Lightning’s fastest speed was Mach-1, but constantly using that speed to travel would consume much of its energy, and it could at most maintain that speed for about 400 km, after which its Stamina would be depleted. It could not be compared to a supersonic jet, after all, it was still flesh and blood and relied on its energy to travel. Yue Zhong quickly kept the Swift Shadow Motorbike within his storage ring, before striding over to the Type 3 Ferocious Ape. Yue Zhong eyed the tightly-bound Type 3 Ferocious Ape that was the size of a bungalow, and his pupils narrowed, as he prepared himself. the Devil Flame in his right hand danced once again. After expending 60 points of Spirit and 20 points of Stamina, he conjured another 2m-long Devil Flame Spear. Forcefully, he thrusted it through the spider web, aiming for the Type 3 Ferocious Ape’s head. With a hong, the Devil Flame Spear pierced through the white spider silk and exploded on the head of the Type 3 Ferocious Ape, blasting a huge bloody wound. The Ferocious Ape that had been trapped earlier by the web started to crawl to its feet, releasing an earthshaking roar towards the sky in its agony. On its head, the region around its right eye had been blown apart, revealing a bloody hole, as blood flowed profusely. Even then, it still gave off a terrifying pressure, as though it could still tear anything apart with its hands. “Not good!! This Type 3 Mutant Beast is still not dead!! Its defence is too crazy!” Yue Zhong eyed the Type 3 Ferocious Ape that had gotten to its feet and his face fell in horror. WAiT whaaaaat ? Is that a shadow mobeeeelu…? It…was never mentionned that he needed to kill purely by his abilities to obtain full xp…………….so I guess he is talking about..fighting experience? Even so it’s not logical…..